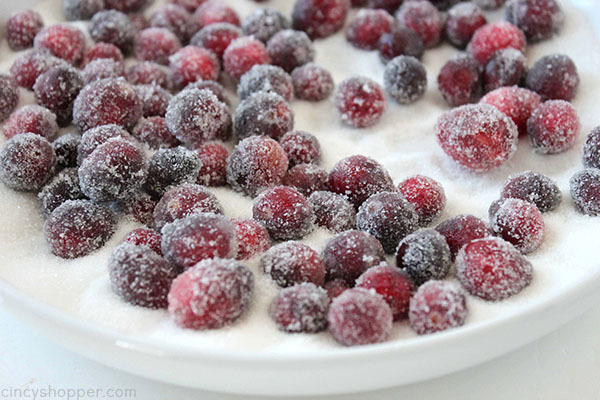 This Sugared Cranberry Recipe is so super simple, requiring just 2 ingredients. 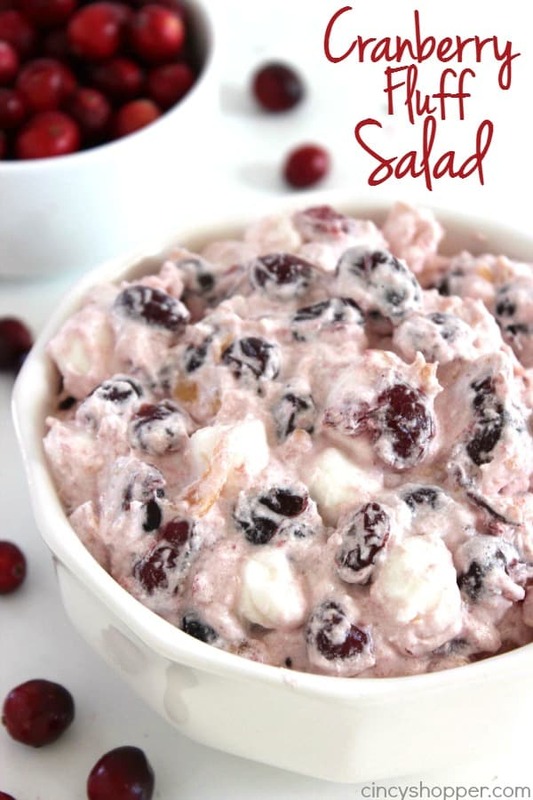 You will find them both tangy and sweet, perfect for snacking or garnishing your holiday treats. 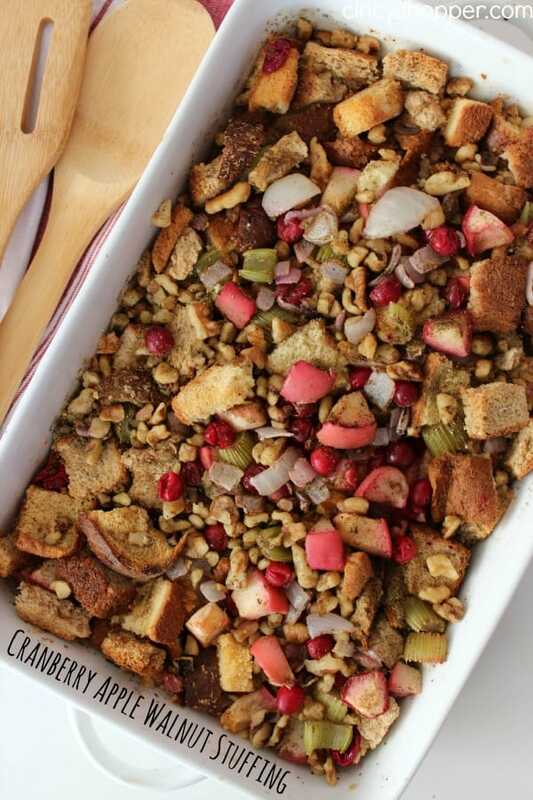 Tis the season for all things pumpkin and also cranberry. 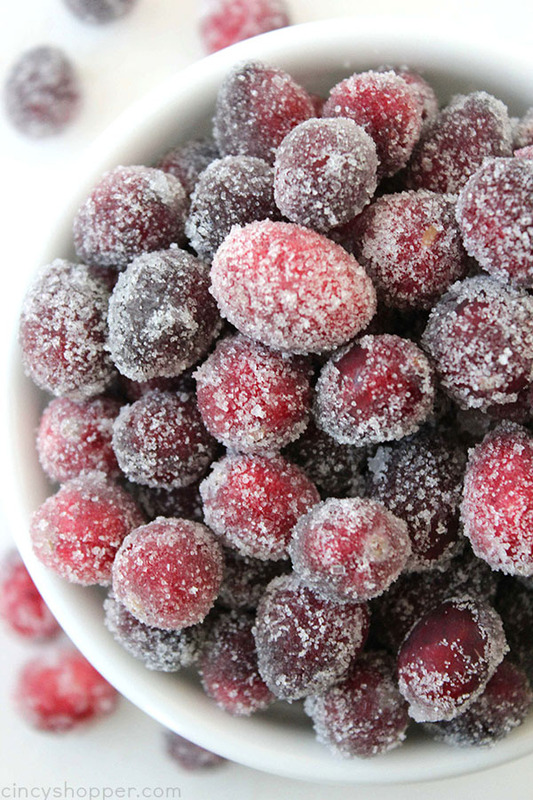 With the holidays just around the corner, fresh cranberries have finally arrived at the grocery store. 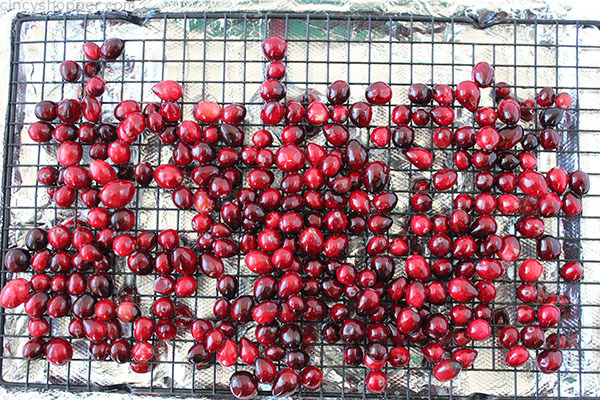 So I grabbed a few bags to make some of the cranberry recipes that I have been anxious to make and share with you. 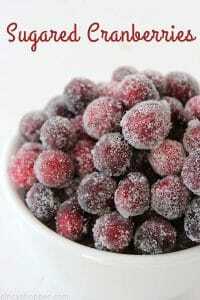 Last winter, I made these super simple 2 ingredient Sugared Cranberries. 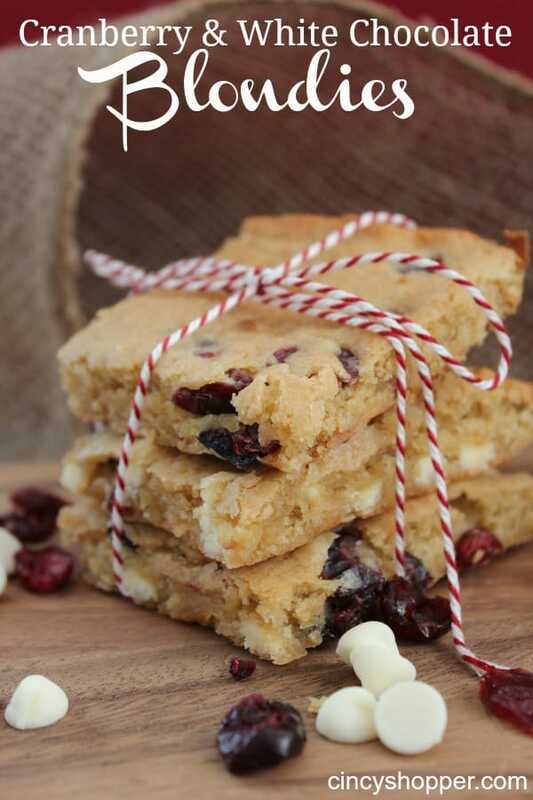 They were great for topping off some of our holiday desserts or even for a little snack. 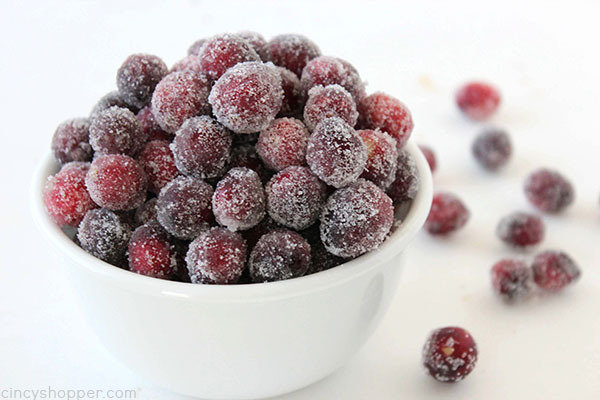 These little frosted cranberries are both tangy and sweet. YUM! 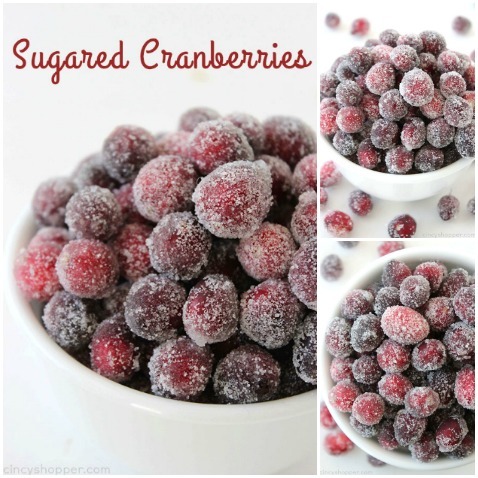 They perfect to put into a candy bowl or even adding to some of your favorite recipes. 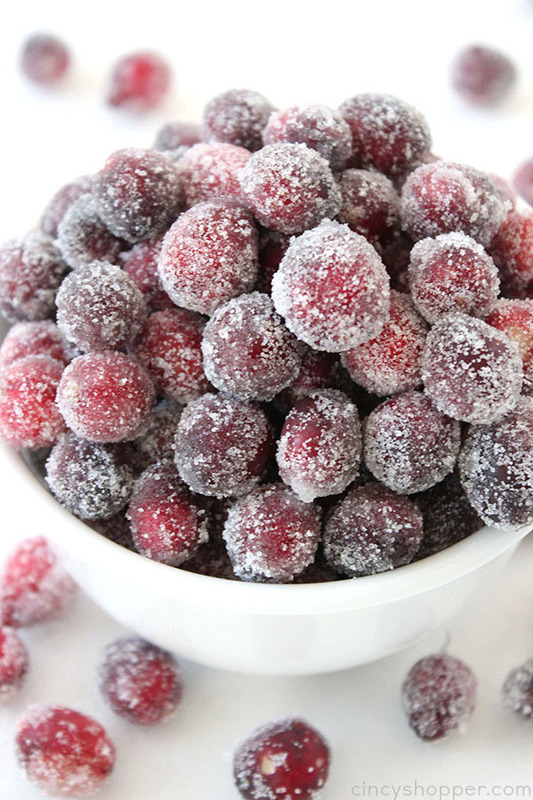 I think they are perfect for garnishing our Holiday Punch and pies. 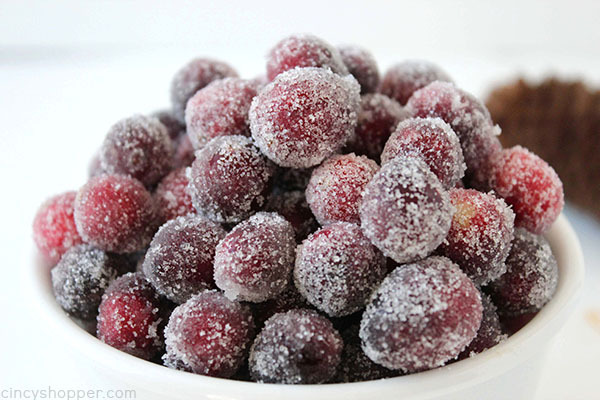 You will find these Sugared Cranberries so simple to make. 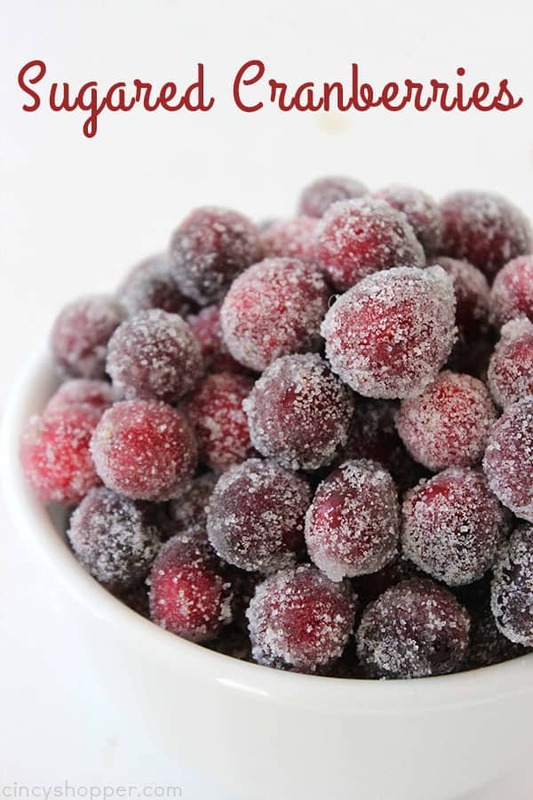 They are absolutely perfect for the holidays. Just 2 ingredients plus water, that’s it! 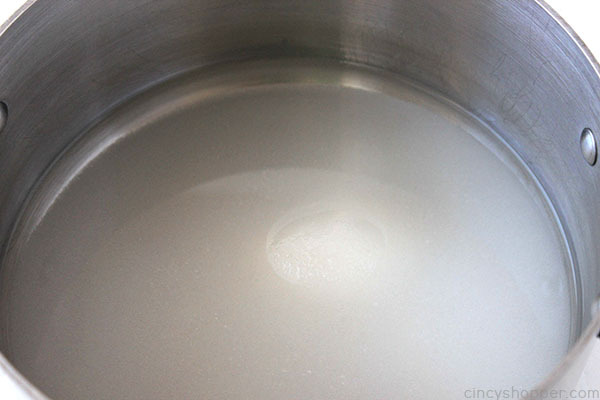 In a medium saucepan, heat water and 1 cup sugar over medium heat to boiling. Keep just at boil for 10 minutes or until it just thickens slightly. Line cookie sheet with foil and place cooling rack over foil lined sheet. 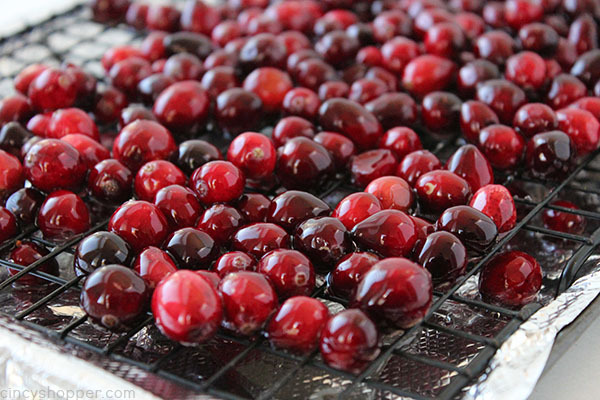 Toss batches of cranberries in syrup to coat and transfer to rack to dry until all are covered. Allow to dry for 30-45 minutes. 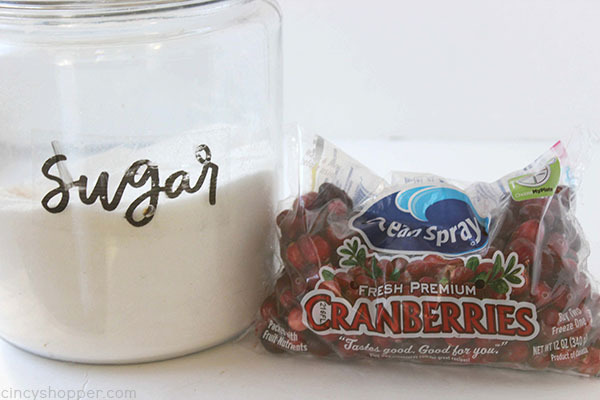 Fill a shallow dish with remaining cup of sugar. 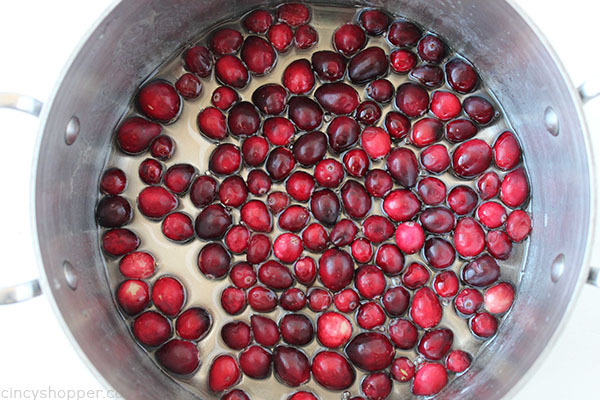 Toss batches of coated cranberries in sugar and roll to coat. 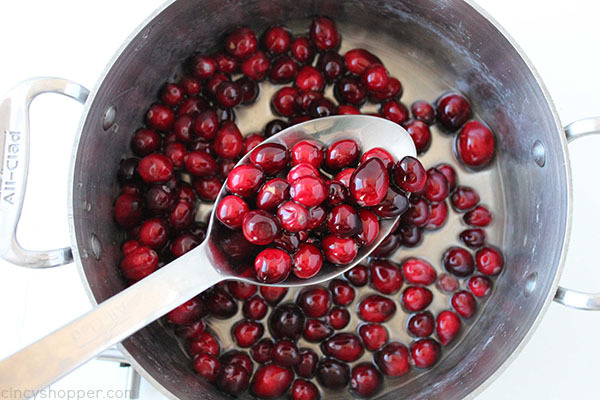 Do you have a favorite Cranberry Recipe? How long do these last in storage? How can I store these to give as gifts?